Over at the Scrap Suite Facebook group (run by D-lish Scraps) we have just finished up our October Cyber crop. 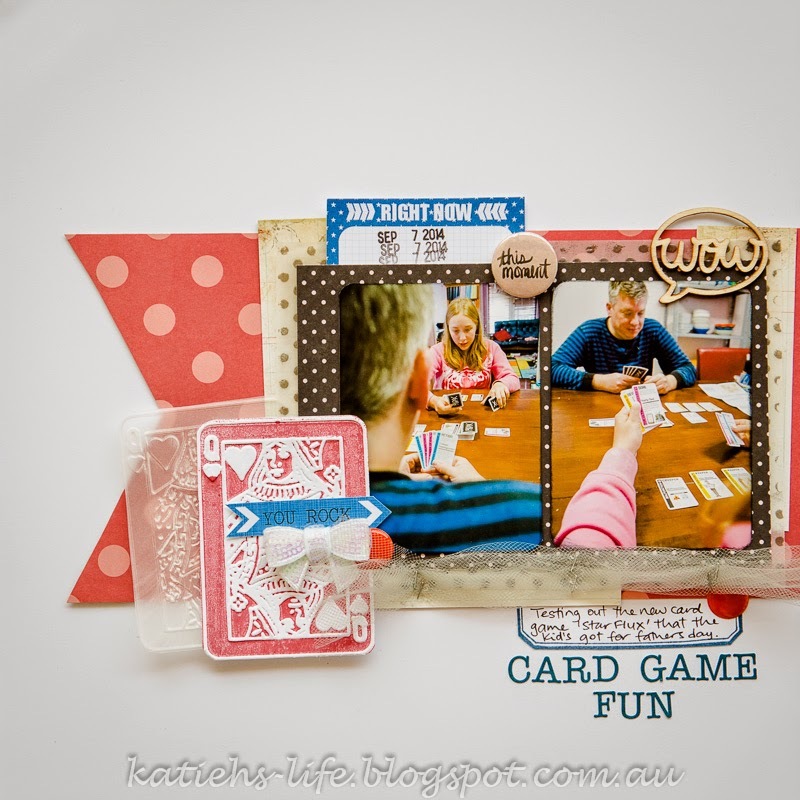 One of the challenges was to include embossing wet or dry on your page, this was set by the lovely Cindy and her page was amazing! Now, I always like a good challenge, and I have been seeing some embossing techniques that I have been wanting to give a go. So I thought no time like the present! What I have done is a faux letter-press technique whereby I inked with a brayer one side of my embossing folder and then ran it through the machine. 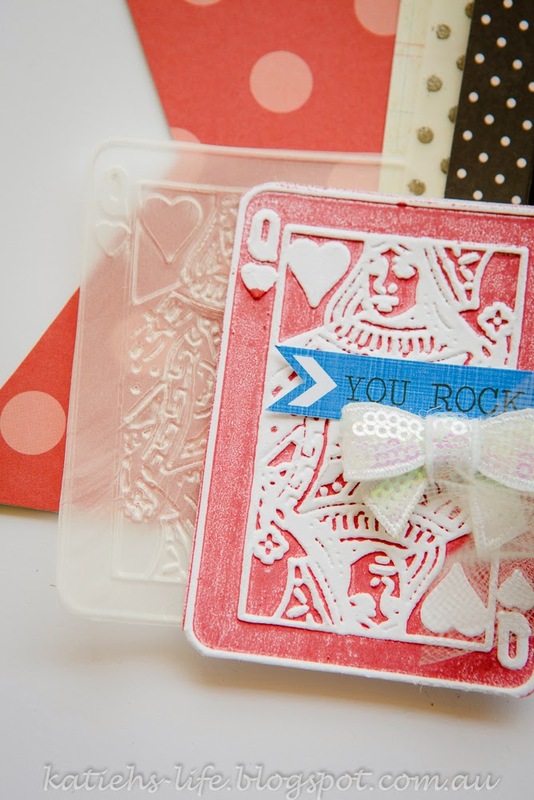 In this case I used one of the Tim Holtz card embossing folders and I used the Red Royal Hero Arts ink. Looks great doesn't it?! I also ran some plain vellum through to make the second card. The other embossing, which is a little harder to see as it is hidden behind stuff (in the close up below it is the bigger dot behind the black with white dotty paper), is metallic embossing powder on vellum with a dots background stamp. I love this look! I used Pewter Metallic Zing from American Crafts. I also love the look of the Copper Zing. And lastly, I decided to have a play with some of the D-lish coloured tulle, I think this one is silver. 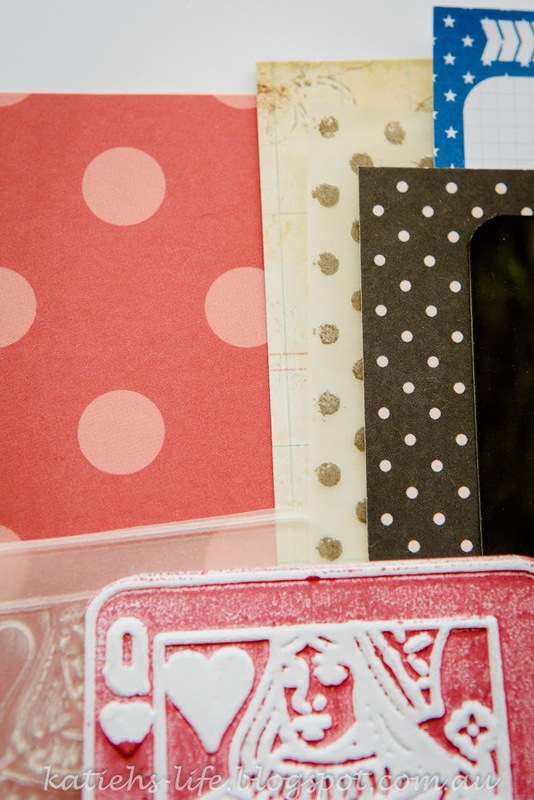 I just pinched it in and stapled with the Tim Holtz tiny attacher (love that thing!) and created a border. 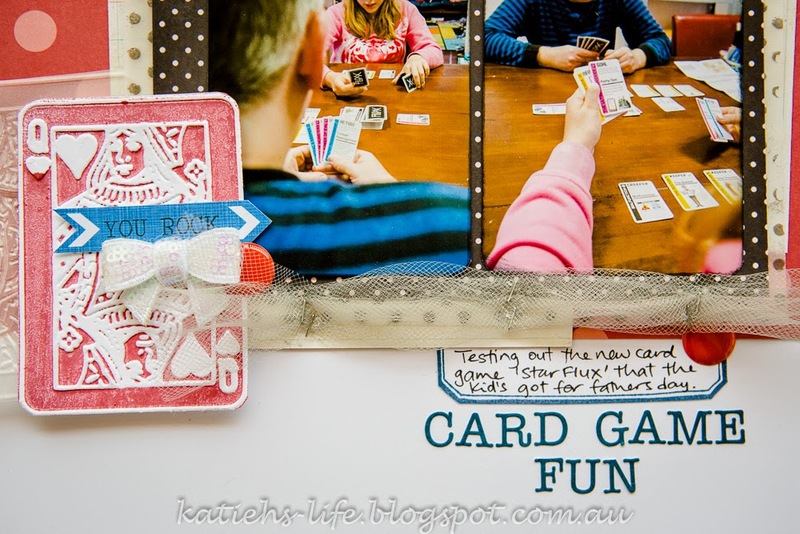 All in all a fun page to create!And I encourage you to go and ask to join the Scrap Suite and join in on the next cyber crop!